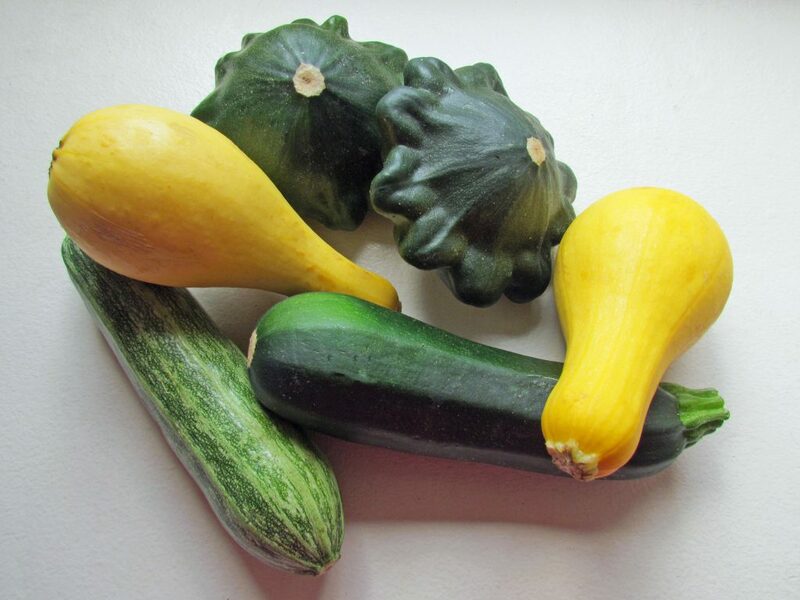 Summer squash is seasonal from June to fall in New Mexico, and the state’s farmers grow a wide variety, including zucchini, yellow crookneck, pattypan, and more. 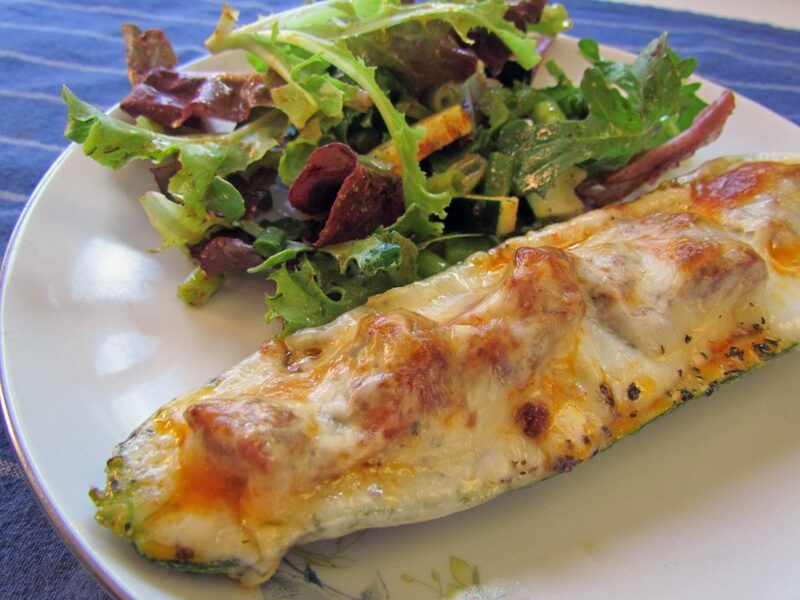 There are many ways that all varieties of summer squash can be prepared (check this out), which means it can make a regular appearance in your kitchen. Try out these quick and easy pizza boats as a tasty way to start adding healthful squash to your summer table. 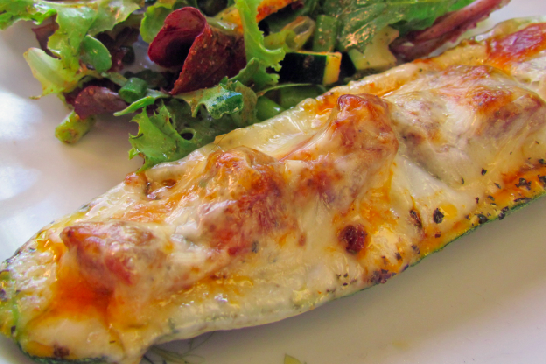 Squash pizza boats are quick to make and can be the basis for a frugal, nutritious, and delicious meal. Slice your squash in half lengthwise, and scoop out the seeds and flesh creating a boat for filling. Brush or spray a baking dish with oil. Wash the squash and slice them in half lengthwise. With a spoon, scoop out the seeds and some of the flesh of each squash, making a nice fillable cavity. (You can score the squash with a knife to make this easier.) Then, place them in your oiled baking dish. Spread about a tablespoon of tomato paste or pizza sauce in each cavity. Sprinkle each squash with your favorite pizza herbs and spices, such as garlic, oregano, basil, salt, pepper, and red chile flakes. Fill each squash with your favorite pizza toppings (we used cooked local chorizo and spring onions, but also consider sautéed mushrooms, olives, pepperoni, and more). Cover each squash with slices of mozzarella cheese. Bake your pizza boats, uncovered, for about 25 minutes, or until a fork pierces the squash easily. Serve your pizza boats with a salad made from local greens, spring onions, and your favorite dressing as part of a healthy summer meal. 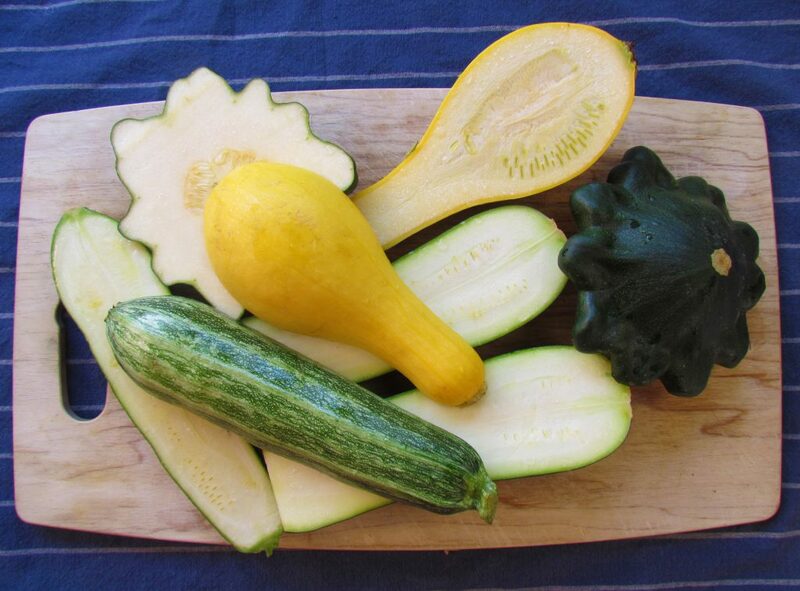 Summer squash come in a wide variety, and can be used in a variety of recipes. Recipe and photos by Christina Keibler.